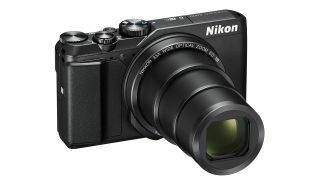 Amazon UK's Spring Sale is nearly at a close - but we like the look of this one-day deal on NIkon's superzoom compact - the Coolpix A900. This pocket travel camera with ints monster 35x zoom is designed for those who want to travel light, but still want to shoot wildlife and other distant subjects with a powerful telephoto lens. Until midnight tonight, this is available for just £214 - which is around £65 cheaper that it could be bought for yesterday. The 20 megapixel wifi-enabled camera is capable of shooting 4K video - and has a tilting 3 inch LCD screen. But the key attraction of this camera is the powerful 35x zoom - which offers a focal range equivalent to 24mm to 840mm. You get Vibration Reduction with this as well - to make those long telephoto settings very usable. This offer is only available on the black version of the A900 - you pay an extra £85 is you want the silver model, which helps to show just what a good deal this is!